Doteasy Knowledge Base: How do I check my website usage? How do I check my website usage? 1. Sign into Member Zone. 2. 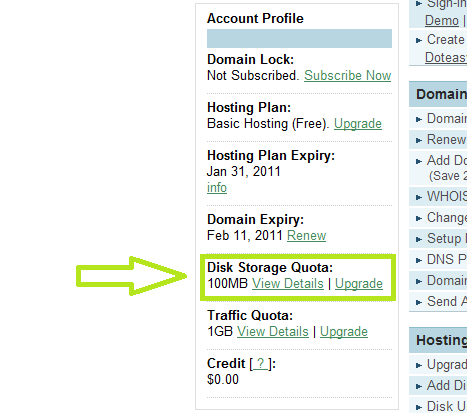 On the side menu, click on "View Details" under "Disk Storage Quota". If you want to check your monthly traffic, you can click on "View Details" under "Traffic Quota" instead. 3. A new page will appear with your current usage.